Choosing helicopter aerial services to aid in construction projects has become a growing, popular business. 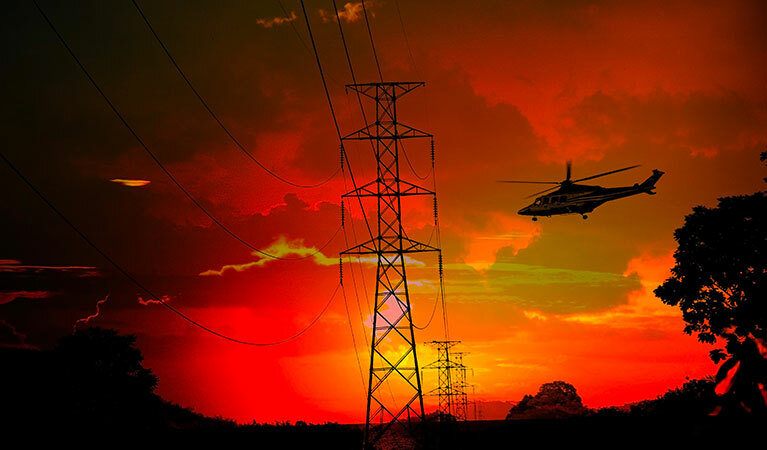 The benefits of aerial construction are priceless, where linemen no longer need to wrap themselves up in climbing gear and utility belts before ascending to construct power lines. Helicopters have become the tool of choice for greater productivity, which performs the same job at a fraction of both the time and cost. 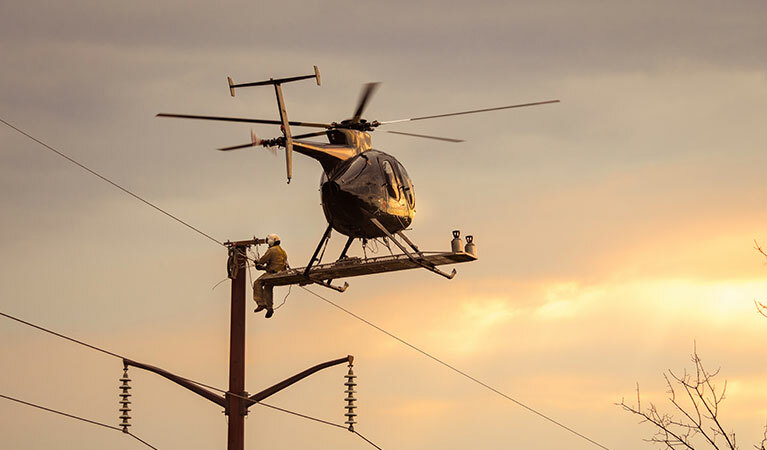 Helicopters can accomplish the same work as multiple tractors, bucket trucks and linemen from tower to tower, and can often pass environmental guidelines for hauling materials between job sites by avoiding dangerous landscapes. Wyoming, the home of Yellowstone National Park, is currently working on its largest and most ambitious project yet, The TransWest Express Transmission Project. This project is expected to transmit power for a 730-mile stretch starting in southern Wyoming. This is the kind of project aerial transmission line construction is made for because the speed of constructing the line, and without needed and overabundance of equipment and and power is crucial to time costs and transport which is all handled logistically, much more efficiently, and faster. This will also benefit the state by opening up new long term jobs and consistent future revenue. 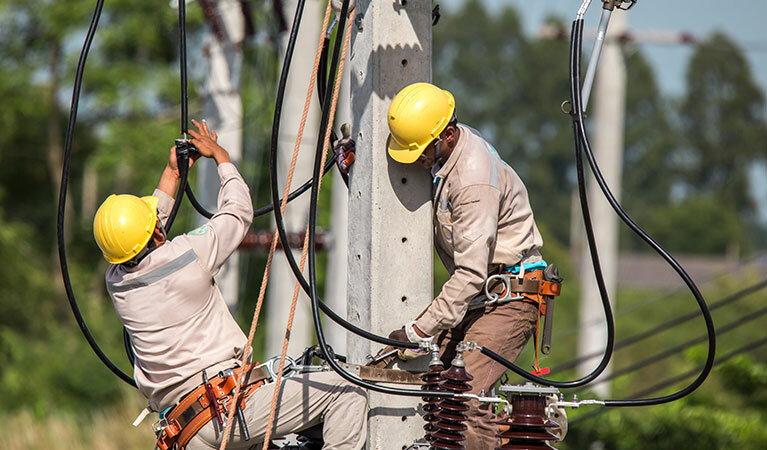 Transmission line construction can seem like a tall task but there are resources available for our clients that makes the job much easier. Call one of our professional service team members to plan out the logistics from start to finish. 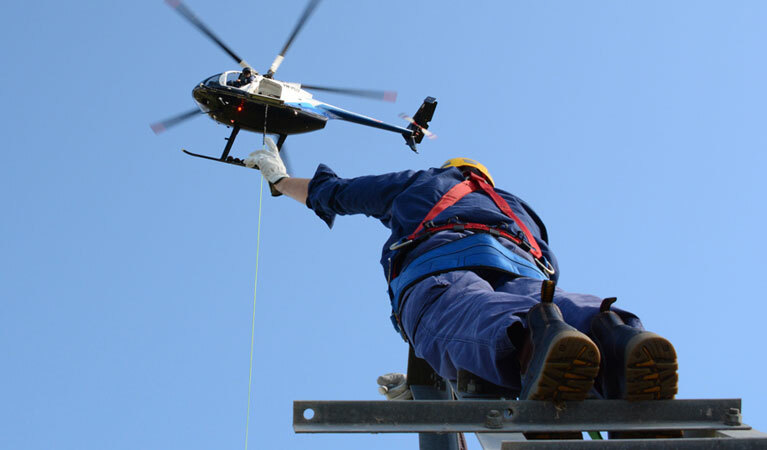 FairLifts prides itself in providing quality service with a considerable sized and experienced team of dedicated expert helicopter operators and essential ground crew members. Together with exceptional support, numerous successful construction projects have been planned and executed throughout the years. 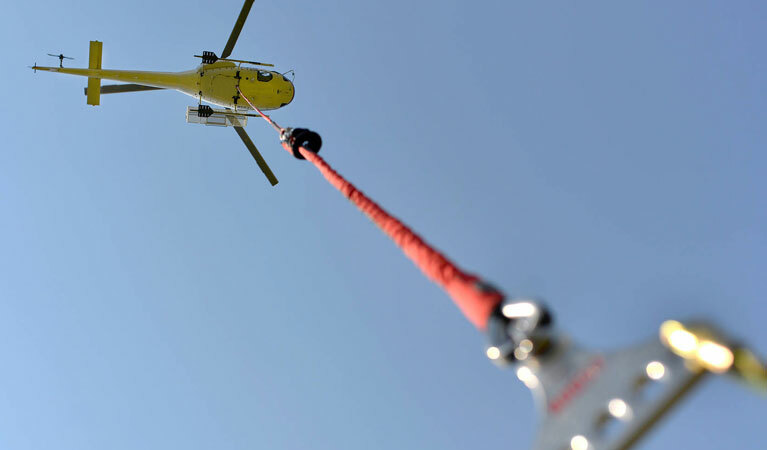 Helicopters can lift and transport equipment weighing thousands of pounds, in both slim and bulky sizes strapped to harnesses, cables, and other secure hardware to transport equipment such as logs, HVAC units, Pipes, utility towers. etc, into hard to reach places. Precision, quickness, and cost-effectiveness are usually the top benefits. 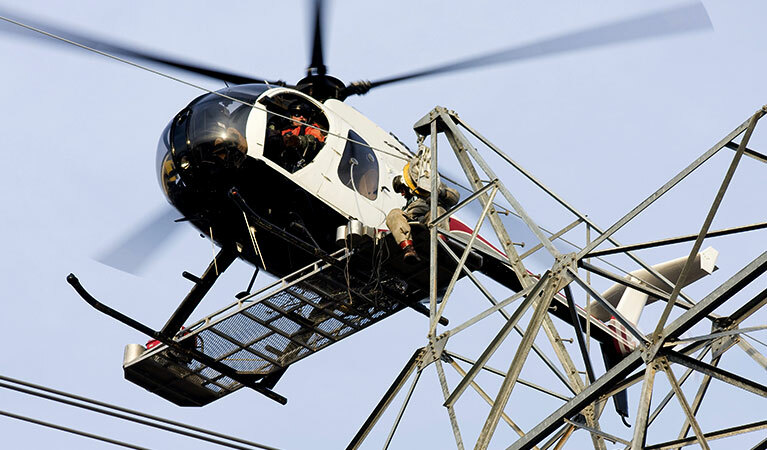 If you need to replace pole sets or construct new power-lines, FairLifts has the most capable helicopter lifts to meet the needs and demands of the job. Our operators specialize in getting to tight spots and wiring your utility lines while communicating with on-site staff to ensure live working lines. Utility Poles are long, and heavy which present spacing and transport challenges on the road. Helicopter transport makes the transition between locations much faster and eliminates the challenges of the terrain. Additionally, they have the ability to act in place of a crane, replacing the need for additional ground equipment. ROW & Site inspections are needed to access utility and pipeline areas which can sometimes be difficult to access. Aerial inspections give the best advantage to navigate terrain, identify points of interest, find and fix issues in the system efficiently, and faster, bypassing the need for manual utility worker navigation. The transport of equipment, crew members and materials are crucial to construction success. FairLifts provides experts who provide excellent guidance in mapping out all steps of the logistics. We have the ability to expedite equipment, and materials into harsh terrain, remote, and hard to get to locations quickly and efficiently. FairLifts takes pleasure in providing the most extensive fleet of professional pilots and operators in the aviation industry for our valued clients. Contact us anytime and any day of the week to book services for all of your construction needs.